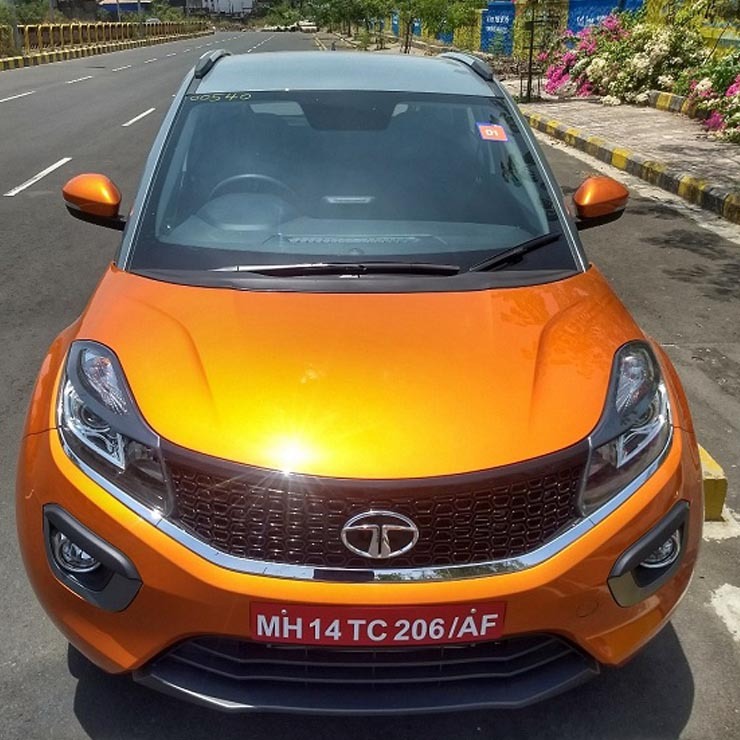 Tata Motors recently launched the AMT variants of the Nexon, both with petrol and diesel engine options, but only in the top-end XZA+ trim. What this means is the Nexon AMT isn’t the least-priced automatic, sub-4 meter compact SUV in the segment. That title belongs to the Ford EcoSport Petrol AT, which undercuts the Nexon by a few thousand rupees. All that could change in the future though, as Tata Motors is readying not one but two new variants of the Nexon Diesel AMT – the XMA and XZA. The Nexon XMA Diesel AMT will be a mid-spec variant, and is likely to even undercut the Ford EcoSport AT considering the fact that the AMT variants of the Nexon are priced very aggressively, at just about Rs. 80,000 more than equivalent manual variants. As for features, the Nexon XMA Diesel AMT variant is likely to pack in follow-me-home headlamps, wheel covers, remote opening tailgate, electrically adjustable wing mirrors, remote central locking, four power windows, ConnectNext infotainment system with a 4-speaker stereo, steering-mounted audio and phone control, twin airbags, ABS and rear parking sensors. The XZA Diesel AMT variant of the Tata Nexon is expected to add features like LED DRLs, a folding function for the wing mirrors, roof rails, a Shark-fin antenna, automatic climate control, cooled glove box, a height-adjustable driver seat, ConnectNext infotainment system with the 6.5-inch floating display, Android Auto and navigation, 8-speaker stereo and a rear parking camera. Both new variants of the Nexon AMT Diesel remain mechanically unchanged. The 1.5-litre-4 cylinder turbocharged diesel engine with class leading 108 Bhp-260 Nm outputs will be standard, along with the 6-speed AMT gearbox with creep, kickdown and hill start assist functions. In due course, Tata could also introduce lower variants of the Nexon AMT Petrol. For now though, homologation documents only reveal the existence of the lower diesel AMT variants. As for pricing, we expect the new Nexon XMA and XZA Diesel variants to be priced at Rs. 9.75 lakhs and Rs. 11.1 lakhs, respectively, on road Delhi.